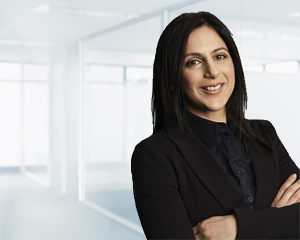 A CPA with extensive experience in accounting and self managed super funds, Michelle Cianci manages the SMSF Accounting, Compliance and Administration team in Melbourne. As well as managing a portfolio of clients, Michelle is additionally responsible for ensuring the team delivers high quality service to more than 1000 SMSF clients in Victoria. Her role includes supporting, training, mentoring and coaching superannuation managers, as well as recruitment of high quality staff. According to Michelle, Dixon Advisory provides a high quality end to end service that assists our clients with managing their SMSF. Our service encompasses administration and accounting requirements as well as expert investment advice. Each client gets a dedicated accountant and investment adviser as their key contacts ensuring all of their requirements are met whenever they need assistance. We also offer a number of additional services in house ranging from Financial Advice, Estate Planning and Property Services for those clients with additional needs. “All Dixon staff are highly qualified and skilled so clients can be sure that they’ll get a high level of service from anybody they deal with at Dixon Advisory. As an extra measure our accounting team is backed by our expert technical service team and our investment team is supported by our highly experienced investment committee. “In an ever changing and complex compliance environment we provide clients with comfort and confidence that their fund is compliant at all times.” Michelle says. Before joining Dixon Advisory in 2007, Michelle had extensive experience in accounting roles predominately in the area of self managed superannuation. Collectively, Michelle has more than 12 years’ experience in self managed superannuation accounting, administration and compliance. Michelle has a Bachelor of Commerce degree from Deakin University and is a qualified member of CPA Australia.